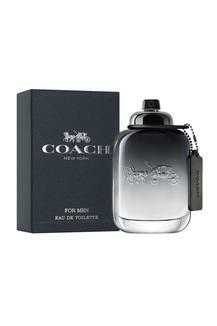 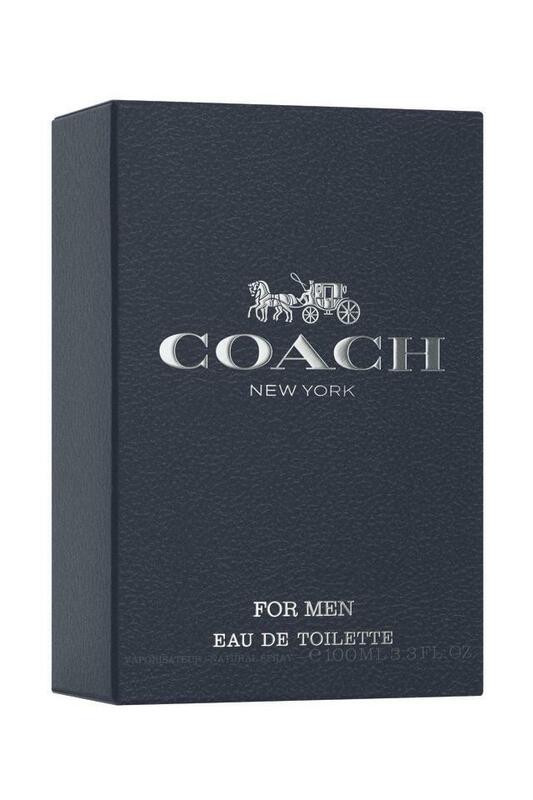 COACH introduces an aromatic woody scent for men COACH MAN which evokes the energy and spontaneous urban lifestyle of New York. 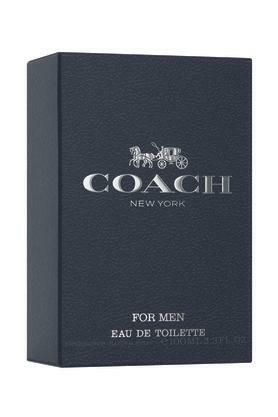 Coach Man is adventurous and free spirited, He enjoys the energy of New York and everything the city has to offer, he's spontaneous and bold and always looking for the unexpected, he's authentic and true to himself with a strong sense of individuality, His cool laid back attitude and unpretentious style make him desirable for all. TOP NOTES - Pear Nashi, HEART NOTES - Cardamom, BASE NOTES - Vetiver, OLFACTORY FAMILY - Woody Aromatic Fougere, A CREATION BY… - Anne Flipo/Bruno Jovanovic, INSTRUCTIONS FOR USE - Spritz onto pulse points., Made in Italy, CLASS - Work Wear / Business Meetings.